Honey, where do we keep the waterboard? Houston … isn’t suggesting that you treat your nearest and dearest like threats to national security. 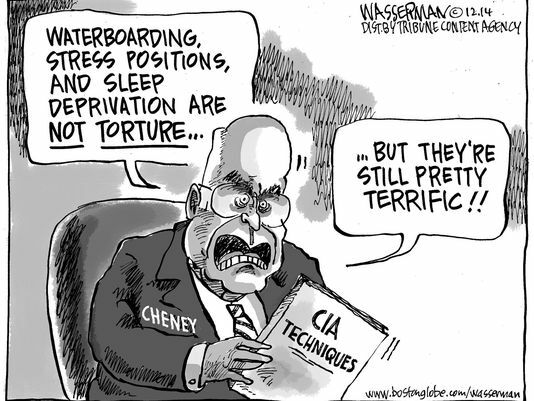 But he does say that a modified version of the approach he honed at the CIA can be highly effective. Stripping subjects naked, shackling them in a standing position for as much as 72 straight hours, and dousing them with cold water. What an invaluable resource for home and office. Is your teenager hesitant to tell you where he and his buddies went last night? Try rectal rehydration! Do you have a subordinate at the office who can’t explain why he keeps missing his sales quotas? The confinement box works wonders!